You are here: Home / Technology / Computers / How can you log out of facebook messenger ? Hey everyone, Now-a-days everyone is active on social media apps like facebook, twitter and whatsapp. One of the famous app that we use regularly is facebook messenger. Our today’s topic is related to it. 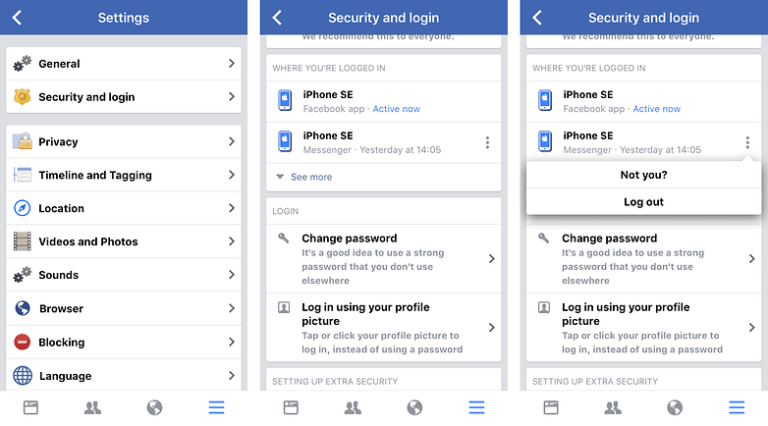 Today in this blog we will tell you the step by step process with images of How to log out of facebook messenger from android & ios devices and from website. It wasn’t log back when Facebook decided to influence messenger to claim its independent app. But the fact that it doesn’t has a log out button similar to the earlier Facebook app does irritate a lot of clients. This particular article will further demonstrate various steps onto how one can log out of Messenger on Android and iOS from their phone or PC. Messenger was launched in August 2011, after a March acquisition of amessaging app called Beluga and it is an instant messaging service app which was released by Facebook.Although it is now owned and operated by Facebook, the app and its website are completely separated from Facebook.com.Also, messenger has a lot more to offer than just simple text messaging. One does not need to be on Facebook’s website or even have a Facebook account, to use Messenger.While the two have separate apps, and might be used independently yet they are connected if a person does have a Facebook account, they don’t have to make a separate one in order to use Messenger. It allows one to send text, pictures and videos. It also enables people to make video and audio call. One may also send and receive money over messenger by using the Send money button over computer and payments button over the app. Further features of messenger include playing games and also sharing ones live location. 2 And other one is you can normally log out of the Messenger from your Facebook app in your android or ios phone. The messenger app should be closed for this particular trick to work, hence if the app is running then get rid of it from your recent apps list. Go to the Settings and then scroll down to the Apps or Application Manager, and scroll down until you find the Messenger app in the list. Tap on Messenger app and then choose the option of Clear data. Now when you go back to open up the Messenger in your app drawer, you would find that it won’t log you in automatically. Unfortunately for the IOS device users the above mentioned method outlined for logging out of messenger is only available to the android users and wont work on an iPhone or on an iPad. Despite one might be able to access the iOS device settings and select Messenger from the list of apps in a similar way as that of Android, there are no storage settings present to play around with in the Messenger app settings for iOS machines. 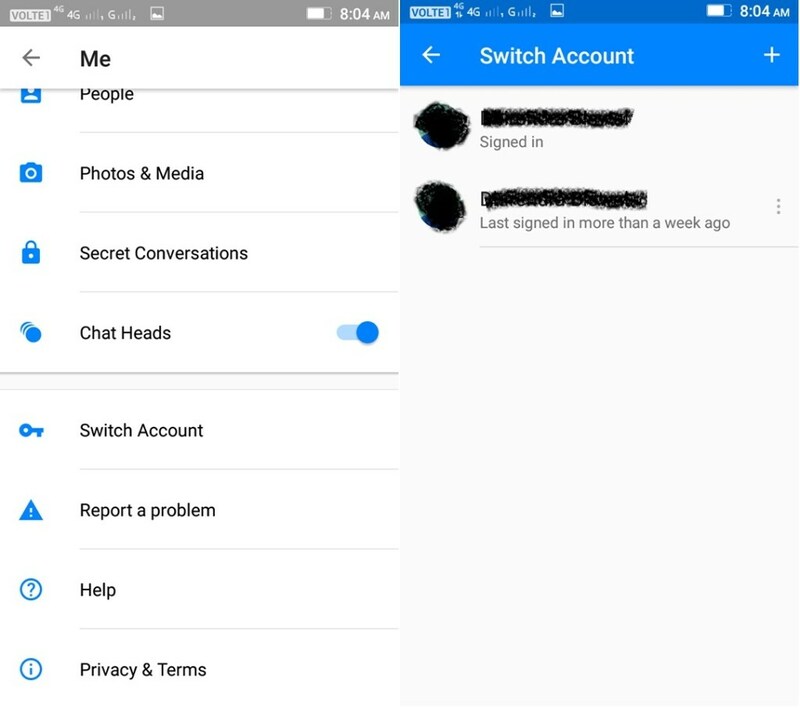 As a result the only other option present for both IOS and android users for logging out of Messenger from an their device is to use the official Facebook app.If you’re both a messenger and Facebook user then go to the Facebook app in the phone and from the app tap the More button which is present o the top right corner ( the three lines present) then tap on the Account settings, followed by Security and login. You’ll find a section called Where you’re logged in, then just select on the Messenger session and tap Log Out. 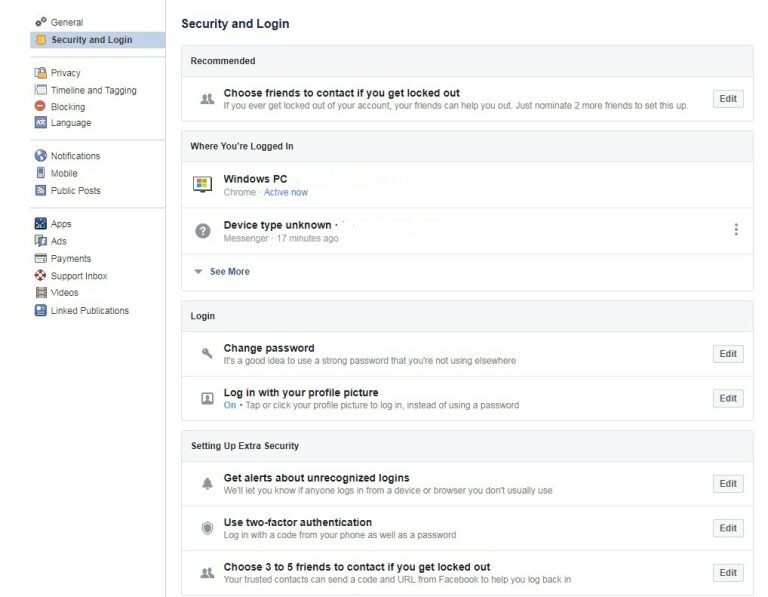 If one wishes to avoid the hassle of downloading the Facebook app to their device because they don’t have it installed already because of maybe the non-usage or low storage in phone, they can simply log into Facebook.com website from their respective web browser and disconnect the account from Messenger in the below mentioned way. The steps are very similar to doing it via the Facebook mobile app. Open www.facebook.com in chrome or any other browser that you are using and login to the account that you wish to sign out from Messenger after that Click on the down arrow which is visible in the top right corner of the page and choose Settings from the dropdown menu. Further Click on the Security and Login option located on the sidebar menu.Under the section labelled Where You’re Logged In, look for the name of the device (iPhone, iPad, Android, etc.) and the Messenger label beneath it.Tap on the three dots that are present to the left of the device and then visit the Messenger listing and select Log Out. Similar to the Facebook app, the listing will disappear and one can return to their device in order to confirm that they have been disconnected/logged out from the Messenger app.